On the First Day of 2015 the so-called Hangover Bus has offered a pricey remedy for hangover-ridden customers in New York City, providing safe-haven to defeat the poisons induced from far too many drinks the night before. Deployed in the heart of the Big Apple by the Hangover Club, the bus comes with a list of tempting mind and body sobering options for those who’ve had one too many. 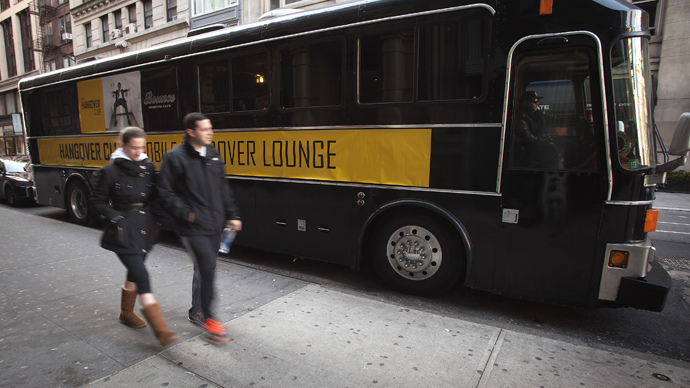 The mobile lounge, stationed outside Bounce Sporting Nightclub in Manhattan on January 1, offered expert advice from 11 am to 7 pm. 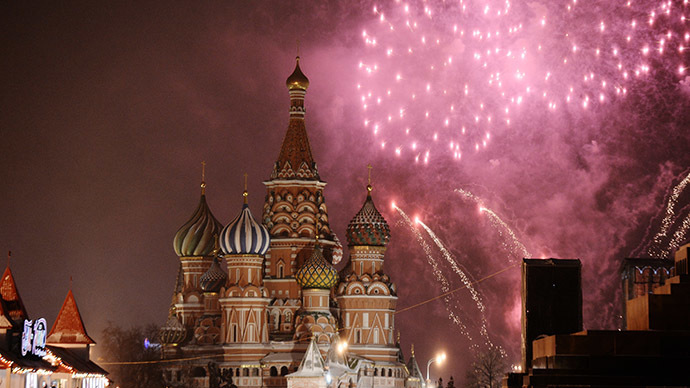 But following the New Year’s weekend, the company will every Sunday park its bus at a new location. Packed with rejuvenating drips, the bus is designed to comfortably accommodate 15 people inside at once and can revitalize more than 200 people during its eight-hour shift. The drips, which take about 40 minutes to administer comes in a variety of options starting from $79 for a cheapest half-dose option. The Classic includes hydration and nausea or pain medication. The Super adds a vitamin B booster. While the Mega, which contains a detox and vitamin C booster will cost you $169.